Spain’s financial markets regulator, CNMV, has warned of Forex broker Banc De Monarch. According to the official notice on CNMV’s website, this entity is not registered in the corresponding registry of the commission and, therefore, are not authorized to provide investment services. The National Securities Market Commission (often abbreviated as CNMV) is the Spanish government agency responsible for the financial regulation of the securities markets in Spain. It is an independent agency that falls under the Ministry of Economy, Industry and Competitiveness. 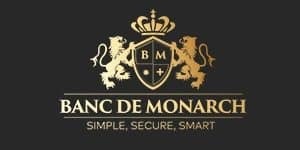 Banc De Monarch is an offshore Forex and CFD broker that operates on the website www.bancdm.io. The company is owned and operated by the Takeda Partners LTD., based in the Marshall Islands. Offshore zones are famous for their loose legal regimes, tax free and low-cost licenses. They are basically not licensed, nor supervised by any authority. Judging by the language options, the broker is mainly targeting Spanish-, Italian-, German-, Russian- and Arabic-speaking clients. Also, the address and contact phone number on the website is form the UK, although the company is not regulated to provide its financial services in the UK or any other country, which is already a valid reason to avoid trading with Banc De Monarch. In addition, there more than enough negative reviews about this broker in the net. People state that they cannot get their money back and the company refuses to provide any kind of help. It is better to avoid dealing with offshore brokerages and choose properly regulated and reliable brokers. A good example of such are the ones supervised by the FCA or ASIC. You can read our review on this broker here.